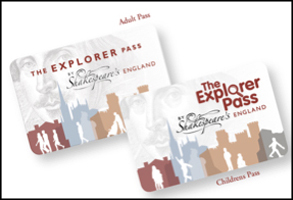 In July, Shakespeare’s England contacted Areca Design (following a personal recommendation) to see if we could support them in developing and growing the Shakespeare brand, and hep with launching the new Shakespeare Explorer Pass. A flurry of projects was then commissioned, including brochures, leaflets and the Explorer Pass itself. A very creative Shakespeare related quiz was developed for the Explorer Pass launch, with over 100 journalists from the UK’s media attending. The quiz was very well received which gave Shakespeare’s England a great platform to communicate the benefits to both tourists and businesses’ of being a member of their subscription-based organisation. We are now looking at supporting Shakespeare’s England with exhibition stands, a new engaging mobile app, with Global appeal, and an innovative website - along with creative campaigns ready for Shakespeare’s birthday celebrations in April.